William Feller playing catch with his son, Bob Feller. One of the greatest and certainly most loved Cleveland Indians was Hall of Famer and war hero, Bob Feller. 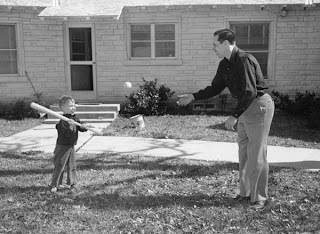 Like so many other kids, he got his start by playing catch with his dad. 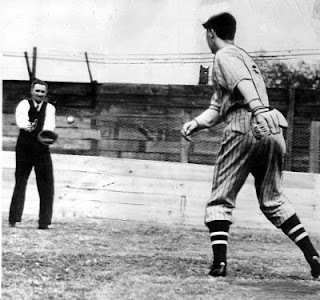 Every night Bob and his pop would toss the ball around in the hog lot. There is something comforting about the crisp sound of a ball smacking a mitt on a cool summer evening. The leisurely pace of a game of catch lends itself to quality time and casual chat. 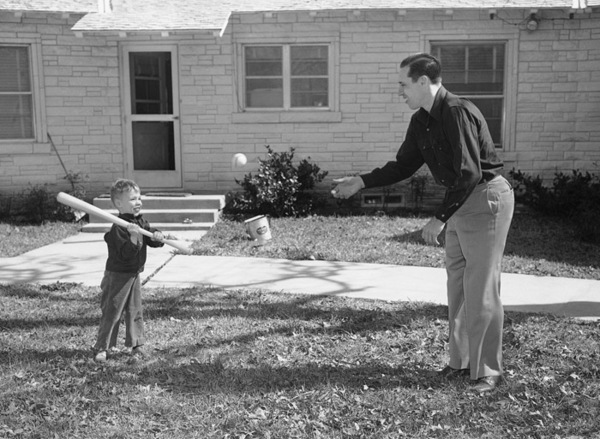 What are your memories of playing catch?